Physics is the study of matter and the way it moves through space-time. When your dorm mates decide to throw an old television through the window to see what happens when it crashes on the sidewalk below - that's physics. The students playing in your school's intramural Ultimate Frisbee competition are displaying all sorts of physics. Physics textbooks teach you how all of these actions occur. When you rent physics textbooks from us, you don't have to worry about remembering to sell your book back when you're done, or even worse, being told the bookstore isn't taking the book back. Whether you're looking for physics text books for an introductory class, or diving into one of the specialized fields, we have your textbook rental needs covered. Perhaps you need to rent textbooks in applied physics, using physics to solve problems like moving a lake or getting a drink to the other end of the bar? Maybe you're looking for material on biophysics, the application of physics to critters? No matter what kind of physics studies you have scheduled, we have the books you need. 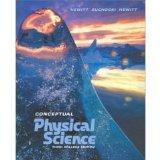 Not looking for Physics textbooks? You can rent political science textbooks or browse through some of our other textbook rental categories.